Watershed Landcare is a non for profit, community organisation that aims to provide a catalyst for the community through education, coordination and support towards the improvement of the socio-economic and physical environment in our region. Members of the Watershed Landcare executive committee are volunteers who are passionate about the environment, sustainable and regenerative land management and improving the health of the landscape and the people in our region. The executive committee meets at 5:30pm on the first Wednesday of the month, from February to November. Input from members is always welcome and members are encouraged to attend committee meetings. Contact us for details of place and time. Our 2018 AGM was held on 23 November at the Australian Rural Education Centre. See below for profiles of our newly elected committee! Christine grew up in the outer western suburbs of Sydney, surrounded by farmlands which were her playground for much of her earlier formative years. An appreciation of the natural environment developed, which was fostered by her mother and grandmother. With her husband Tony, she now runs a mixed grazing enterprise on native pastures in the Carcalgong and Bocoble/Queens Pinch areas to the south of Mudgee. 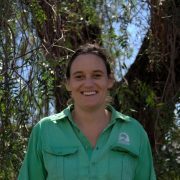 She is passionate about the importance of plant diversity in pastures, and likes nothing more than introducing landholders to the diversity of plant species on their properties. Christine recently completed a science degree with a Major in Botany through the University of New England. She is also a member of Stipa Native Grasses Association and various plant conservation groups. Sonia Christie, together with her husband and three children run ‘Eastwood’, a mixed grazing property, north west of Rylstone. 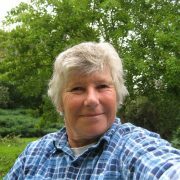 Sonia has implemented and manages a cell grazing system and has a passion for sustainable farming ideas and food production. The plan being on Eastwood, to improve biodiversity and sequester carbon in the soils whilst being profitable. Sonia uses Stressfree Stockmanship methods to make livestock management an easier, safer and a calmer way to rotate contented stock around the cell system. Sonia has a background in health and so has an interest and understanding of the link between healthy landscapes, food production and human health outcomes. 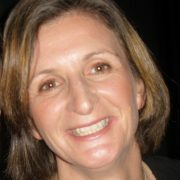 As part of the Watershed executive, Sonia hopes to help promote and encourage the great range of projects and educational opportunities Watershed has on offer. Hunter White is a farmer and company director who lives at Havilah, Mudgee (near Lue). 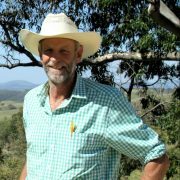 With his wife Sue Ann, he operates a mixed farming enterprise in the Mudgee and Yeoval districts based on sustainable and regenerative land management. Hunter and Sue Ann are members of Watershed, Bingman and Little River Landcare groups. In addition, Hunter is very involved with community activities including Mudgee Show Society, Mudgee Race Club and Lue-Havilah Bushfire Brigade. Hunter is very focused on importance of the land to the Australian culture and well-being. Farmers have an enormous challenge as land managers to produce food sustainably within our complex ecosystems. This is a very exciting challenge which relies upon our heritage, education, innovation and, within the Landcare movement, building communities and open sharing of ideas and information, to achieve this.